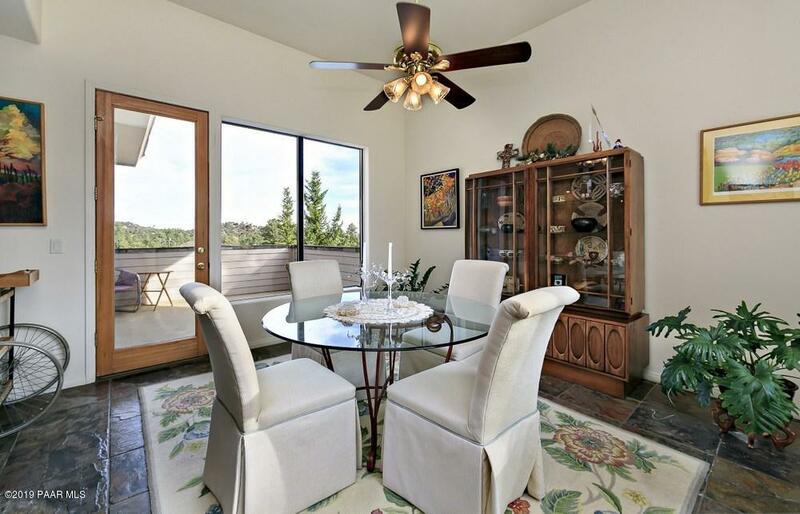 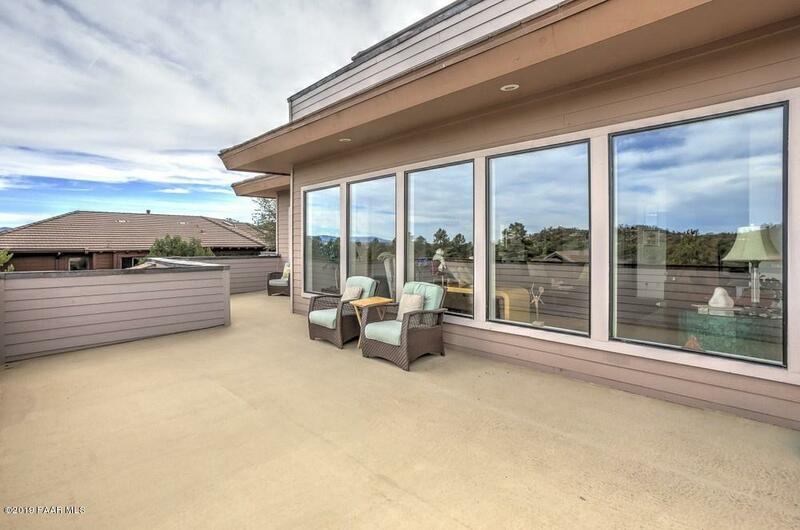 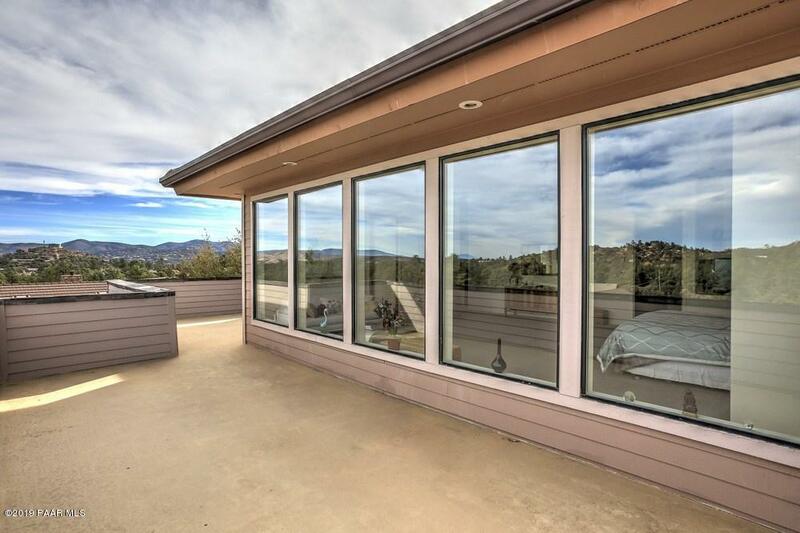 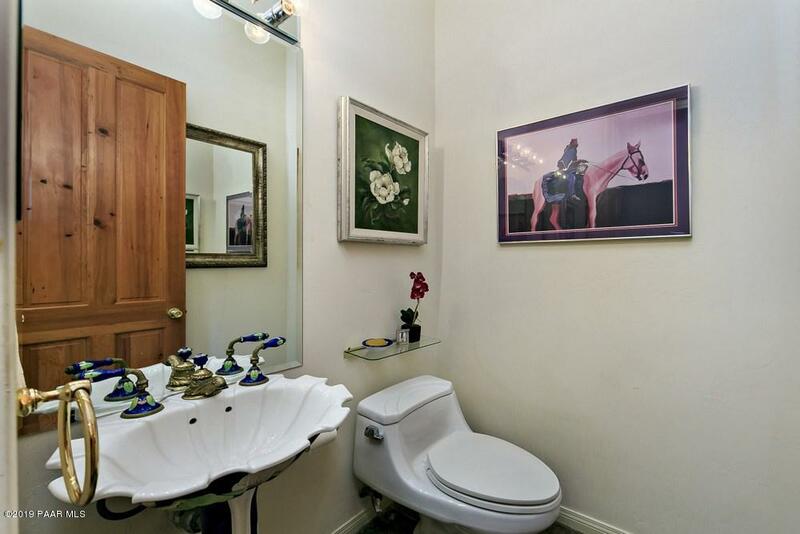 Top of the hill views impress from this contemporary, multi-level property in prestigious Hassayampa. 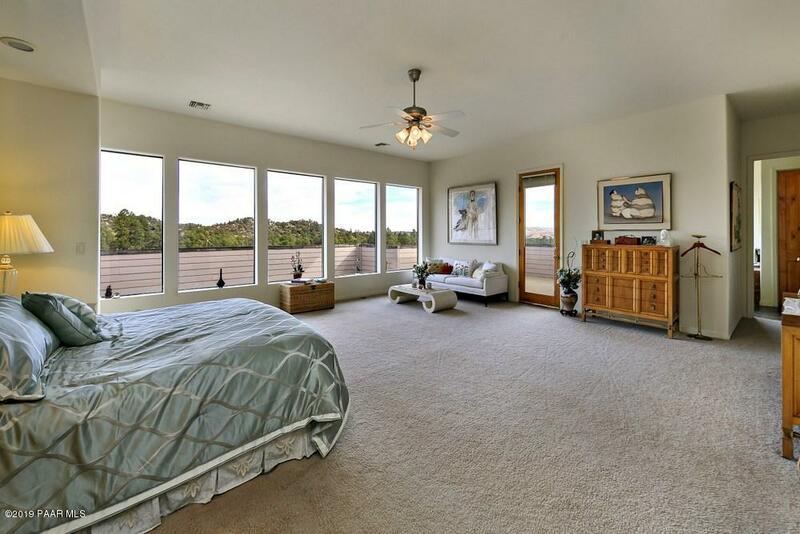 Elevated main floor living offers gorgeous open floor plan w/great room, formal & informal dining areas, slate flooring and chef's kitchen all while providing access to open decks for entertaining. 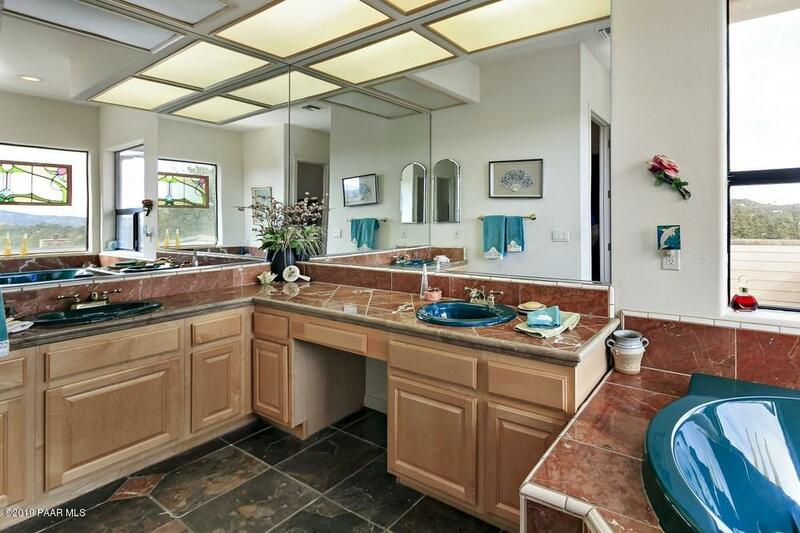 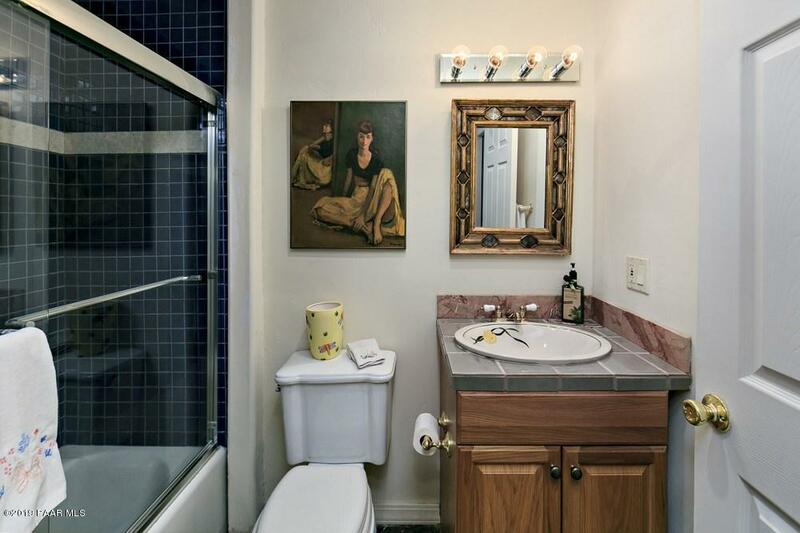 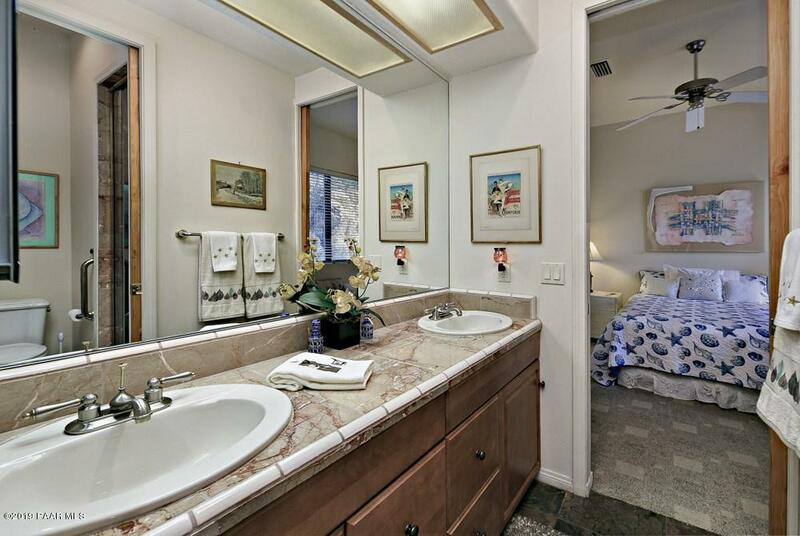 ''His & hers'' bedrooms & jack-and-jill bath on this floor for main level living. 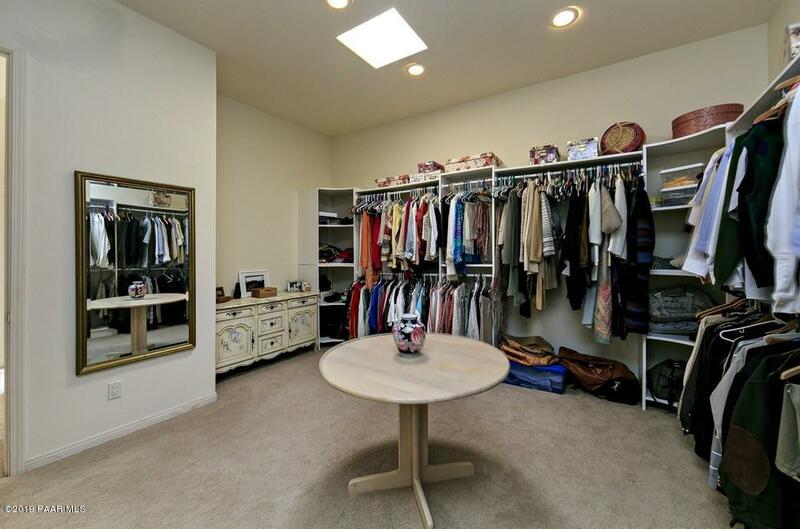 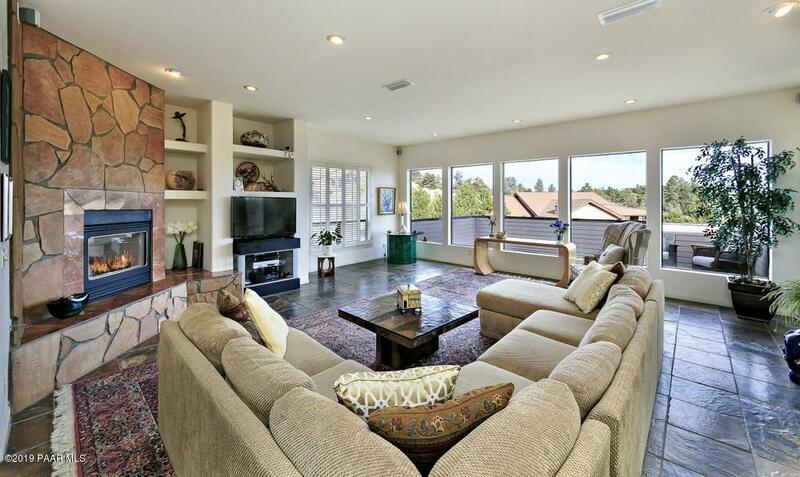 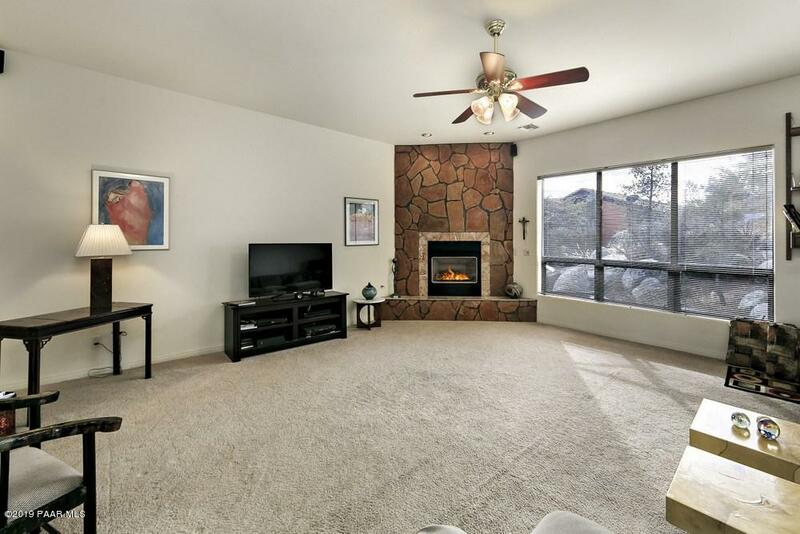 Upper level provides private living with oversized master bedroom suite and separate family room with fireplace. 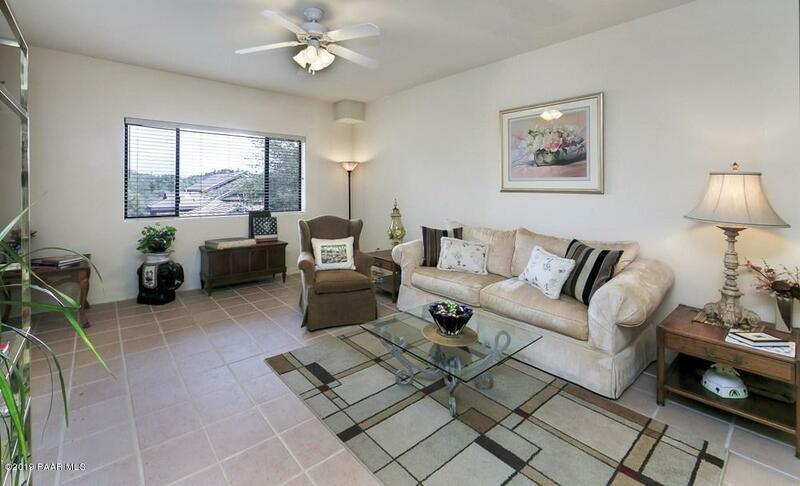 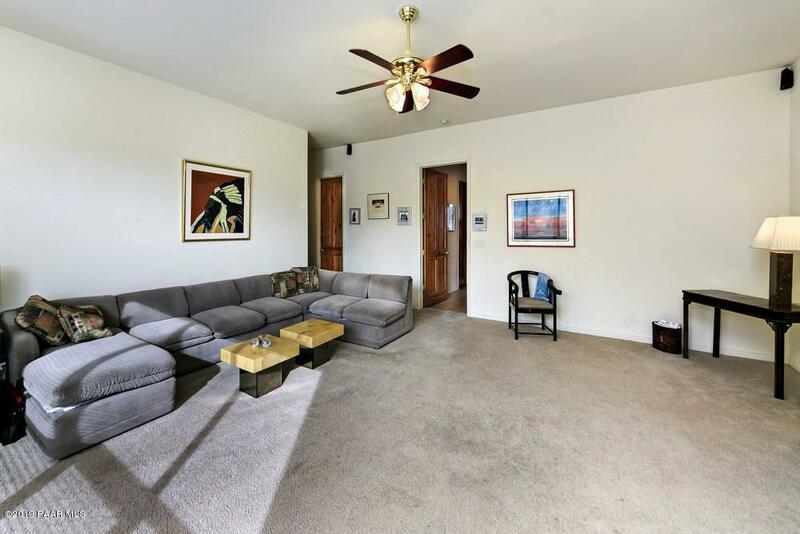 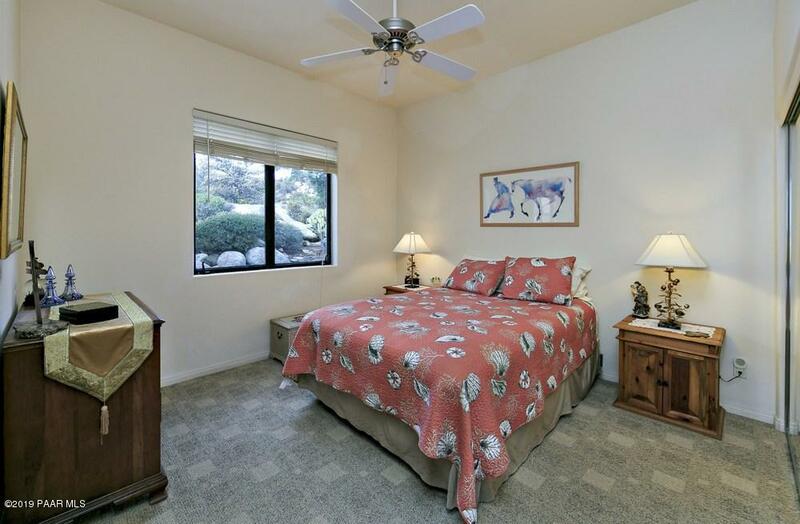 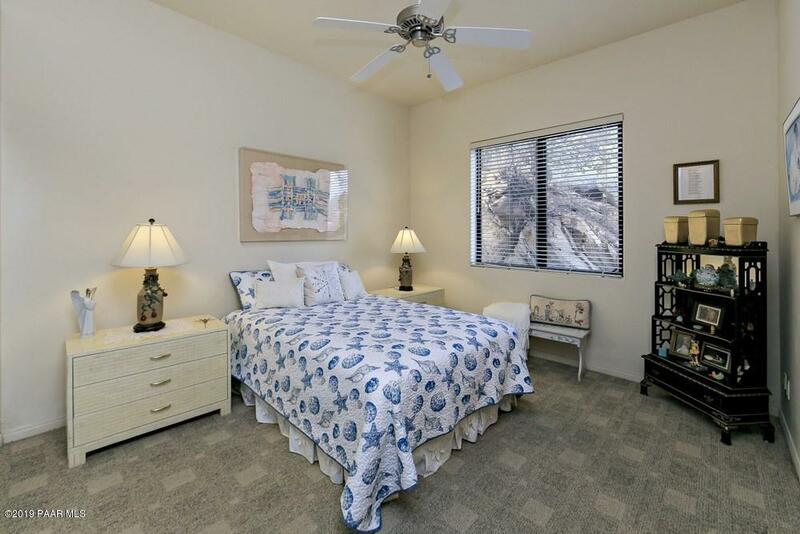 Ground level in-law suite offers flexible living for extended family: family room, bedroom areas, and full bath. 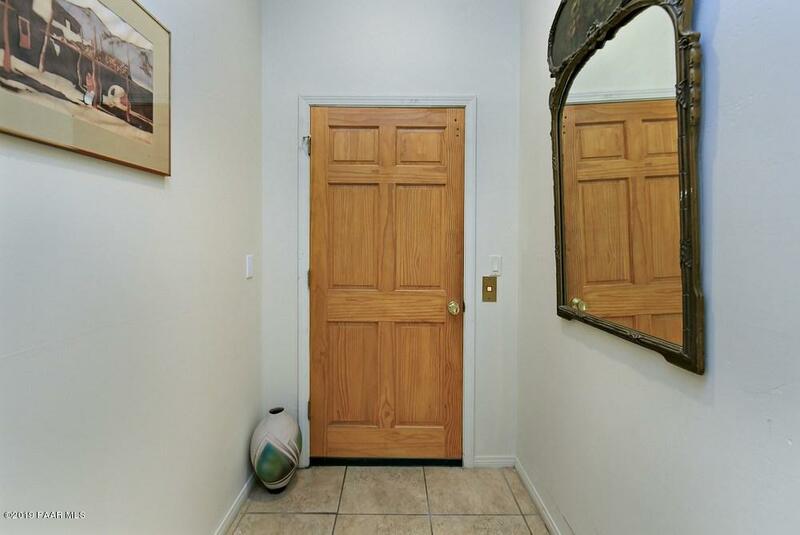 All living areas are accessible by interior elevator. 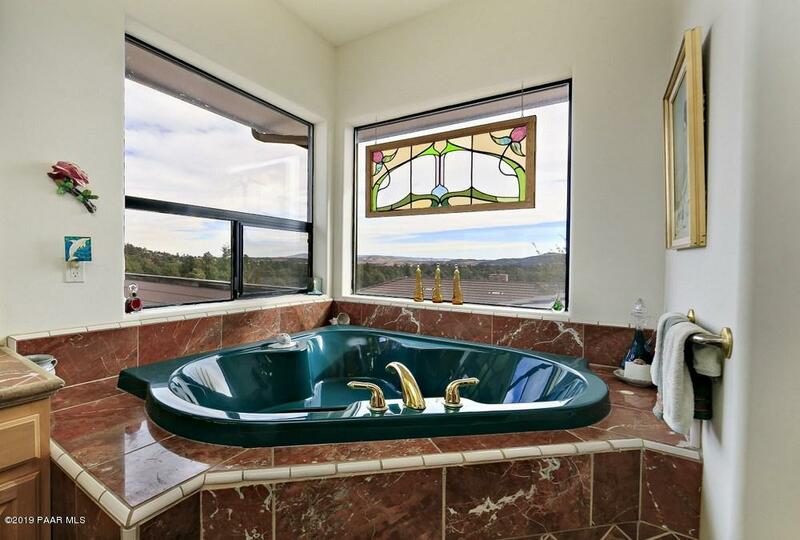 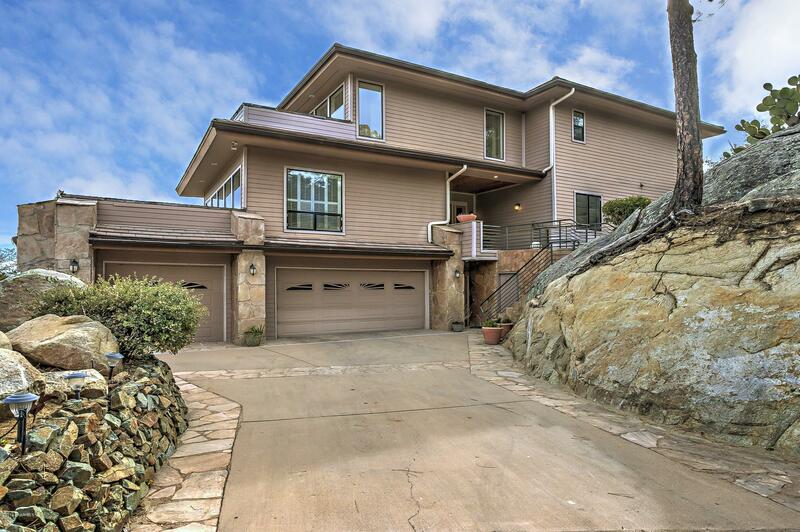 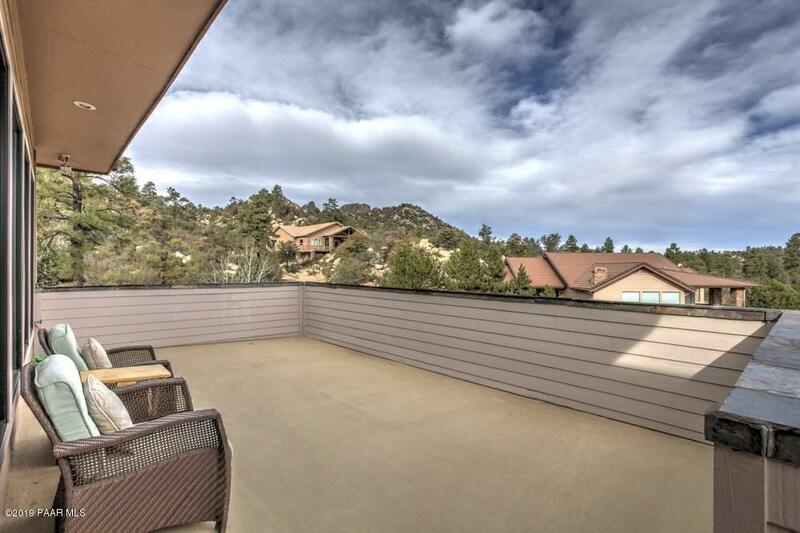 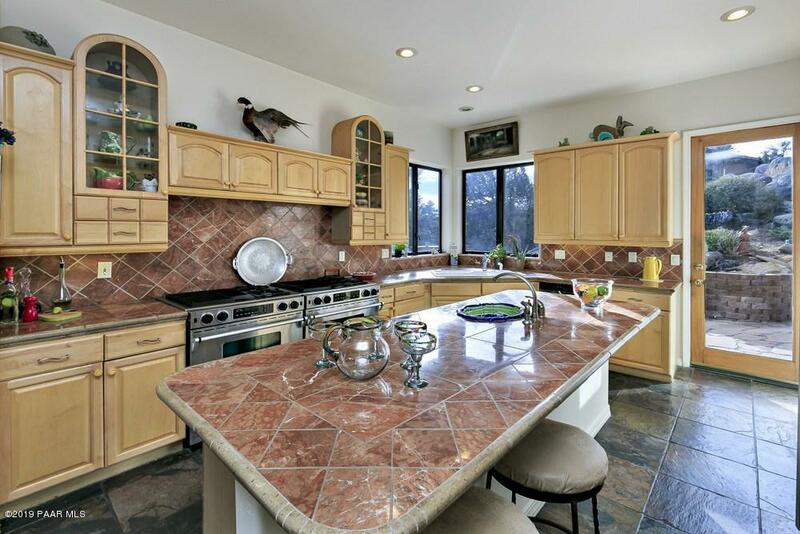 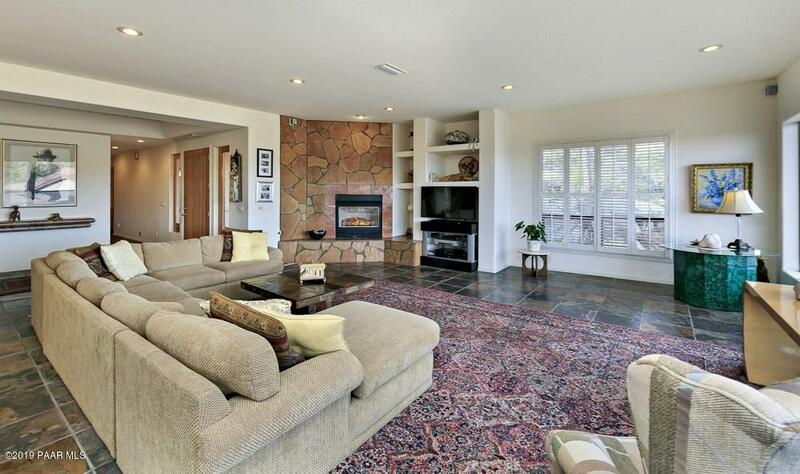 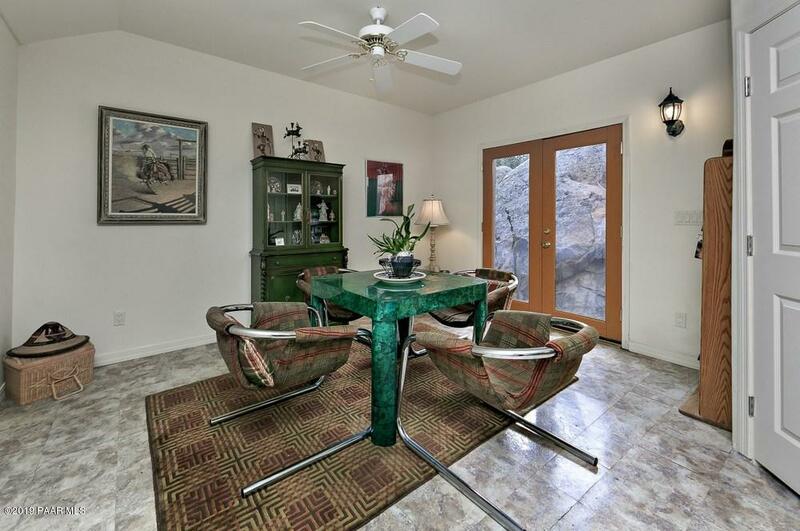 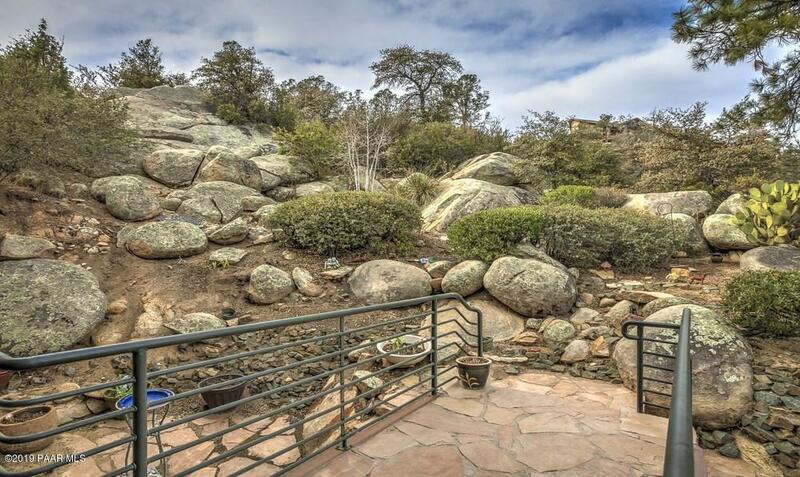 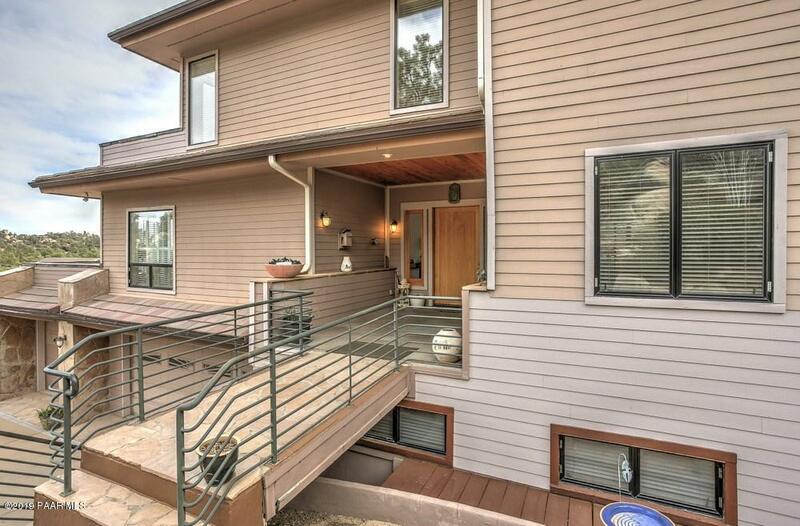 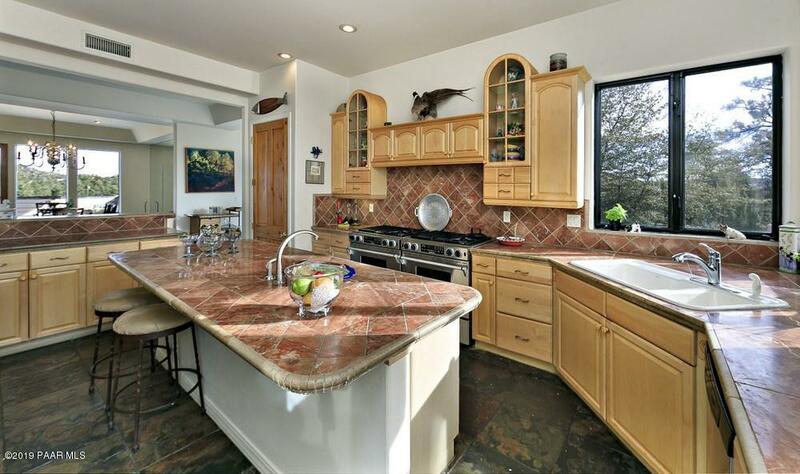 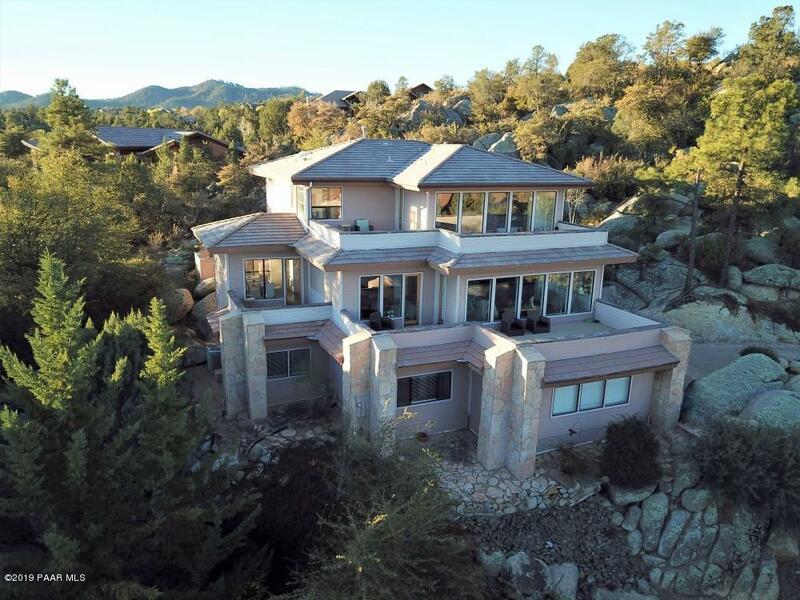 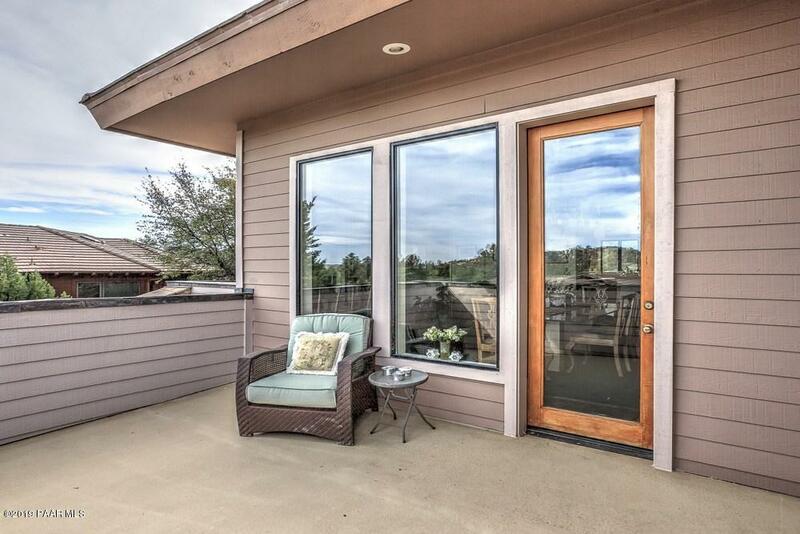 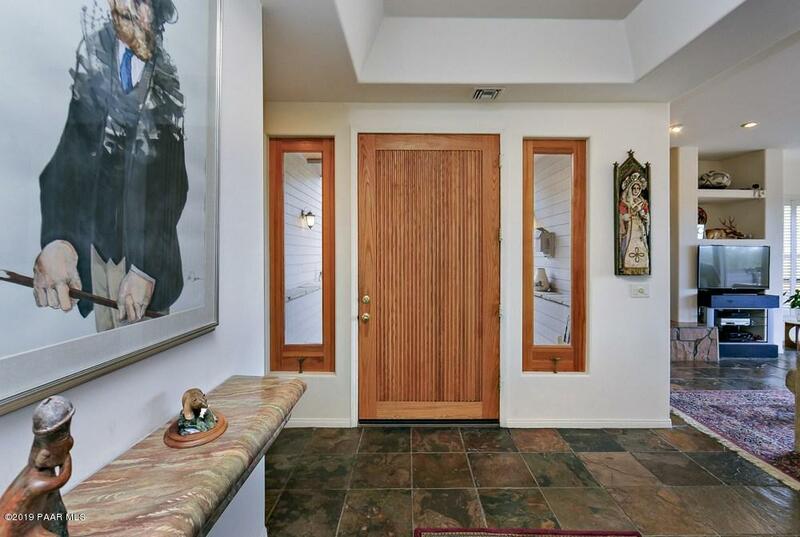 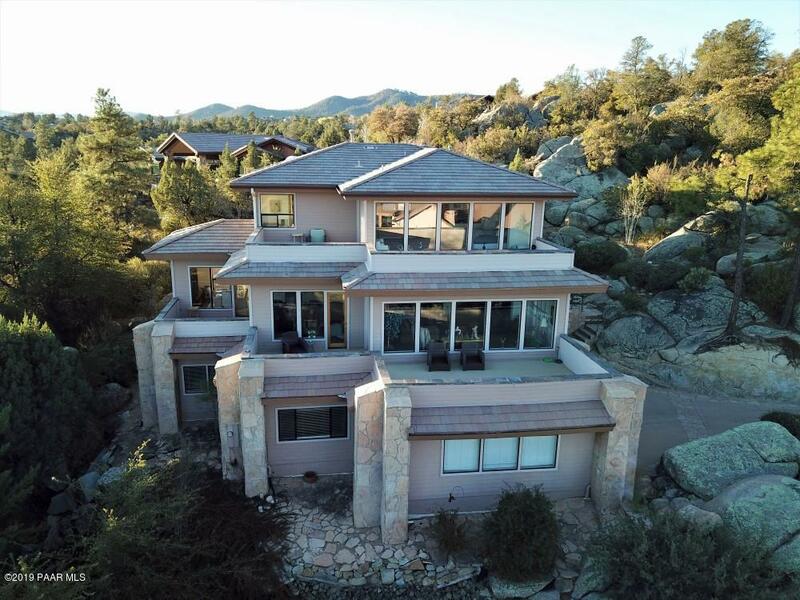 This spectacular property is privately nestled in the boulders and truly one of a kind. 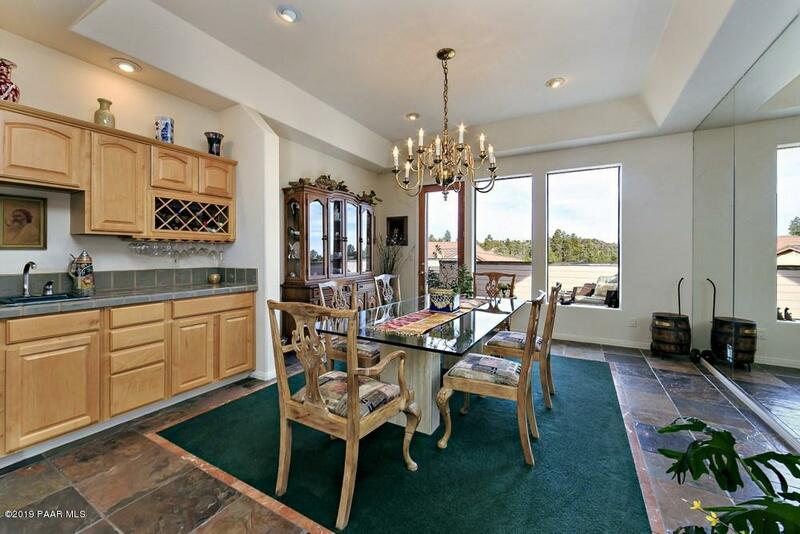 West on Gurley to L on Hassayampa Village, R onto Rustic Timbers, R onto Trailwood Lane to end of Cul De Sac. 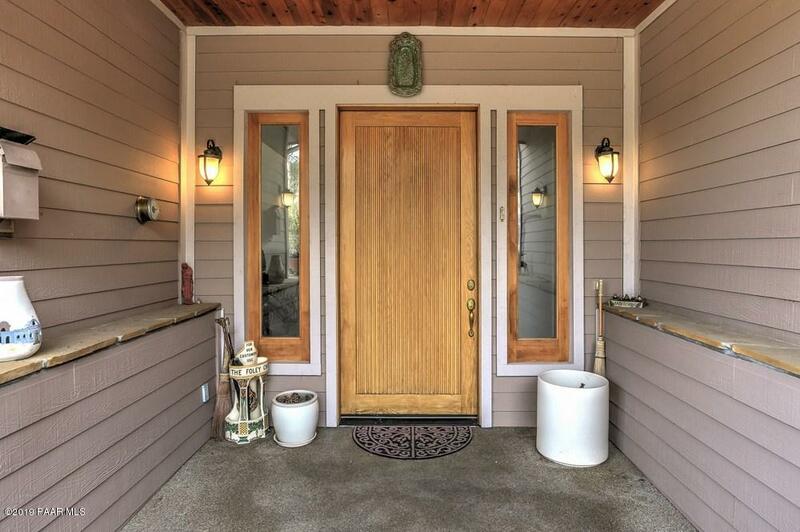 No sign, house on left.